On the 22nd December – just after the Winter Solstice on 21st Dec – we move into the tenure of Capricorn and Angel Nadiel. 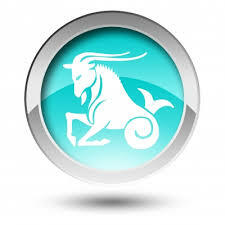 Two of the major Capricorn drives are Status and Recognition. These are the desires that push Capricorns on to achieve great things. Another significant Capricorn archetypes is “Service” in a very practical manner. These days lives devoted to Service can take on the form of an ambitious Career and the archetypes of Provider, Teacher, Manager or Organiser as a few examples. 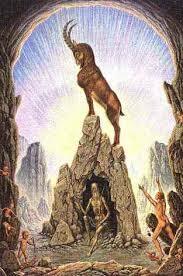 Capricorn as an aspect of the self, has to do with our personal ambitions and goals in the world. Over the next 4 weeks or so, we will do well to really get to the bottom of what is supporting us and holding us back in the financial and economic perspectives of life. OK, so we are in the middle of a financial (to name but one) revolution that will evolve our world to a better place to be sure… and now is the time to rethink what fuels your ambitions and if that serves the greater global context of our collective Destiny. 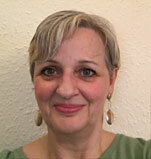 Angel Nadiel helps us to be contemplative and practical but also independent – a powerful mix indeed! And don’t be fooled by the famous Capricorn dominant streak to achieve – they worry and feel anxious just like the rest of us humans at times. But with Angel Nadiel by their side always – they possess an admirable determination to carry on with appropriate self-conviction, balance and confidence. Caps get the job done! Crystal wise its all green – use Malachite to balance your emotions and Peridot for deeper integrity and an upturn in the pace of your life.